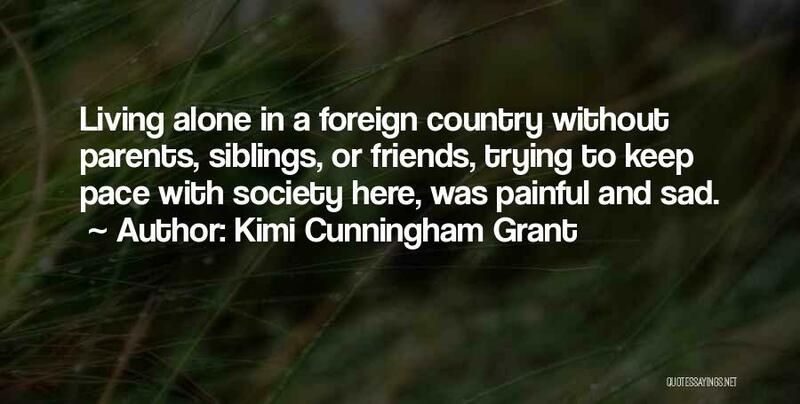 Enjoy the top 1 famous quotes, sayings and quotations by Kimi Cunningham Grant. So the only environment the artist needs is whatever peace, whatever solitude, and whatever pleasure he can get at not too high a cost. All the wrong environment will do is run his blood pressure up; he will spend more time being frustrated or outraged. My own experience has been that the tools I need for my trade are paper, tobacco, food, and a little whiskey."